LG will be at the Mobile World Congress 2019 to unveil the LG G8 ThinQ, but we already have our eyes on the design of the phone thanks to notorious leaker Evan Blass. The company has also confirmed some interesting news about the debuting OLED display screen. It isn’t the first time the LG G8 is showing up online, but it’s the first time we have the clearest shots yet from just about every significant angle. What appears to immediately catch our attention is the unusual 3-lens selfie camera module, but if you’ve been following G8 rumors, you should know that the company recently confirmed the phone will get a 3D depth-sensing camera for secure facial authentication. This is, perhaps, the reason LG is going with a huge notch at a time when every other vendor is minimizing the space the notch eats up on the display screen. Of course, this could easily end up as another rumor, but considering the track record Blass boasts, it’s hard to think otherwise. 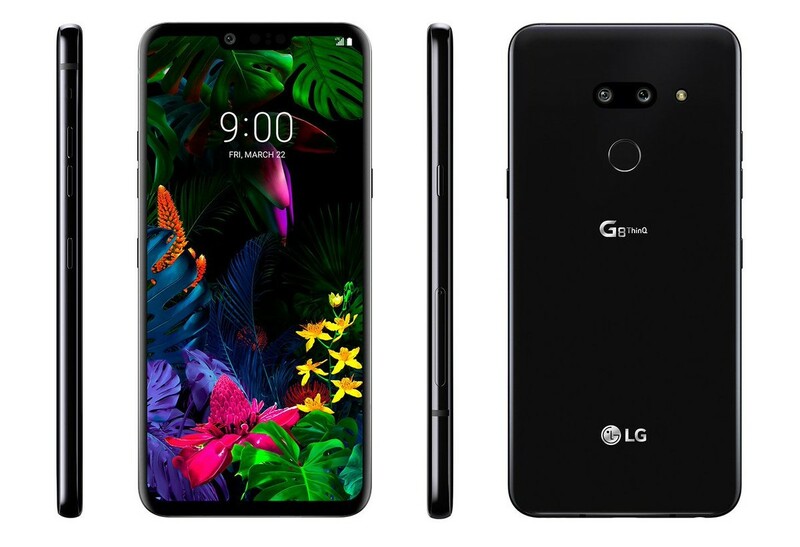 Also, the fact that we’ve seen similar renderings before suggests something is right, although at some point an LG official tried to play down the rendering. The images also reveal a rear-mounted fingerprint scanner, meaning the LG G8 misses out on the state-of-the-art technology that is in-display fingerprint scanning. The rear panel will also house a dual-lens camera, implying the tri-lens thingy is still exclusive to the premium V series. The LG G8 is still keeping faith in its signature quad DAC audio tech, Boombox Speaker and the 3.5mm audio jack, which are good things to see in a flagship phone in 2019. While at it, the company says the G8 ThinQ will have Crystal Sound OLED branding that appears in some of its premium smart TVs, allowing the display panel to vibrate in order to emit sound. In simpler terms, the G8’s display will work as a speaker. Cool huh! While revealing this info, the company did basically confirm that the G8 will be the first in the G series to rock an OLED panel, which is another interesting development. Whether this switch will result in an even more expensive handset like the V series remains to be seen.